This year's Summit theme, Connecting Our Stories – Connecting Our Power, reflects the power of reclaiming and sharing our personal and community stories and will feature performances by Mixed Roots Collective instead of the traditional keynote address. Today, Mixed Roots Collective describes itself as “a collective of artists from multiple disciplines committed to pushing the envelope of performance art.” Together, actors craft and tell stories via live skits and stage performances. They tackle complex issues like racism, honoring diverse experiences, and the importance of unity among marginalized communities. Their play, The Talk, debuted as a time-based performance art piece in ArtPrize 2017 and focused on the conversation Black parents have with their children about racism in our society. Written by Aquinas professor and playwright Randy Wyatt and co-produced with Actor’s theater, The Talk also included a “talk back” style community engagement component. Sammy made another ArtPrize appearance the following year in a collaboration with Cultura Collective and Rumsey Street neighbors. That entry, Roosevelt Park Neighborhood Stories, featured a video installation of stories on the history of the surrounding community. It also included an ofrenda to the stories, both told and untold, of the neighborhood. 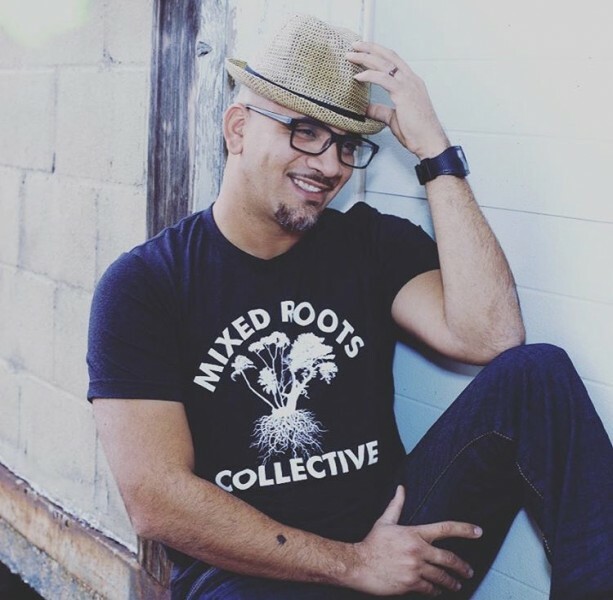 Sammy’s ability to authentically curate stories is why we are most excited to have Mixed Roots Collective participate in the 5th Annual Grand Rapids Neighborhood Summit. This year’s Summit will take place on Saturday, March 2, 2019 on the downtown Pew Campus of Grand Valley State University. The theme, Connecting Our Stories – Connecting Our Power, reflects the power of reclaiming and sharing our personal and community stories. While each person and community has unique realities, most stories are connected and when leveraged strategically, allow communities to build power through solidarity. connecting our stories, this activity will set the stage for them to make meaningful connections throughout the day. sponsors, and others for their contribution to this year's Summit. We are still accepting raffle prize donations. Those interested in donating a raffle item should email [email protected].